Why do we bother with classroom displays? Some classrooms don’t really need their walls because they don’t actually do much. Okay, they might hold the school together and provide teachers with their own little habitat to teach in but why have walls if you don’t use them? When you walk into some classrooms they scream at you. Apart from a few posters and a timetable, these are just spartan resting places for drawing pins to rust to death. They show little effort, are devoid of personality and are hardly inspiring. Displays are important to any school but they are often abused or abandoned. They are powerful points of reference in class and can make a huge difference to drab and dreary corridors. Some teachers invest a huge amount of energy in their classroom displays but this can often be detrimental to learning. Some classrooms are drenched in displays and become so cluttered they bring about claustrophobia and get in the way. Too much display is harmful. Getting the balance between being overwhelming and underwhelming is clearly important. Decluttering is one thing but sterilising a learning environment of displays, artwork and resources can be detrimental too. Heaven forbid that your displays include ‘data walls‘. Dave Burgess (2012) in Teach Like A Pirate reckons that one of our secret weapons as teachers is being able to control the physical space. He suggests we use ‘interior design hooks’ to transform our classrooms to create the ultimate atmosphere for a lesson. He describes having special days where he creates a blank canvas by covering every wall in plastic sheeting and then adding decorations on top to a particular theme. 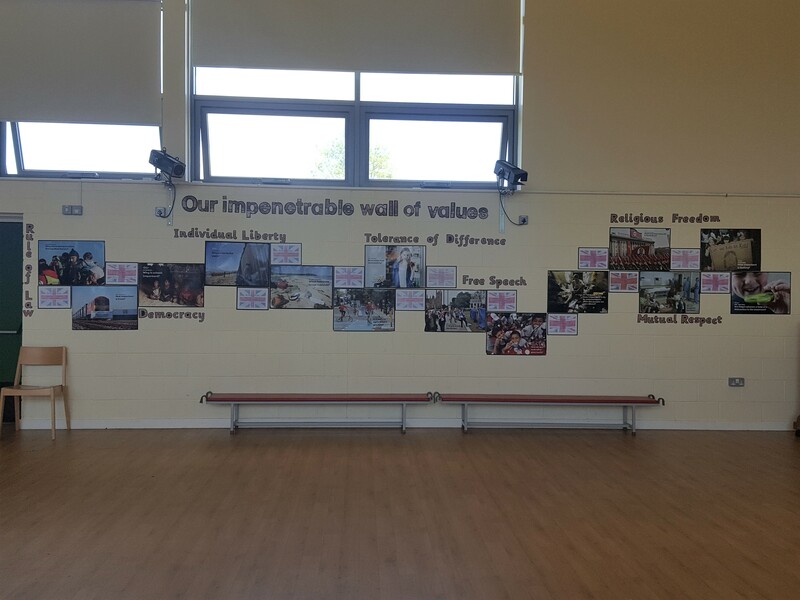 Some might argue that even when changed regularly, classroom displays have little educational value and pupils see them as just wallpaper or window dressing. I disagree that they are just mere decoration and it is nonsense they are there for the teacher to look and feel good about themselves. Displays can support the improvement of pupils’ learning, they create a mood and they can be shocking. Learning needs to shock sometimes to be memorable. ike they are closing in. Classrooms are the core learning spaces in a school and so they need to be exciting and dynamic. They also need to be ‘owned’ by the class so that children see their own work on the walls. If a classroom is largely the work of a teacher and decorated with commercial resources and ‘inspirational quotes’, it feels soulless and corporate. 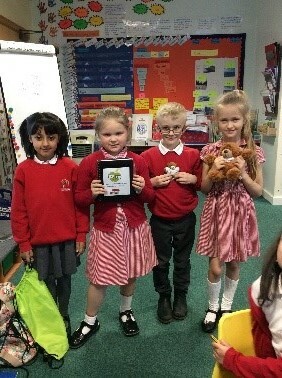 Children like to see their own stuff and can feel proud as punch if it gets displayed. If something doesn’t make the grade then this can have a negative impact on children’s thinking and self-esteem. Always displaying the ‘best’ work is a no-no because this excludes children. Every child needs their moment of glory and a class with an inclusive and growth mindset will recognise not everyone can be the same but everyone needs to be included. Why not take this one step further as illustrated by Tim Brighouse and David Woods (2013) in The A-Z Of School Improvement and get older pupils as ‘display for learning advisers’ (DLAs) as “volunteers to do something to improve all aspects of display in the school”. Displays don’t have to drive us up the wall. a News Board displaying local, national and international news. Picture News is ideal! 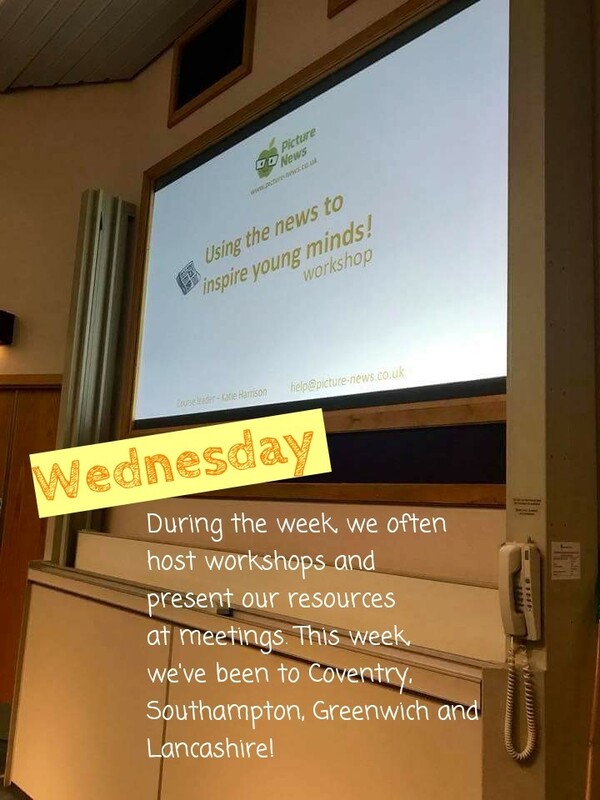 a Mistake of the Week board (Claxton and Carlzon, 2019) or an Alternative Conceptions of the Week board using Concept Cartoons. 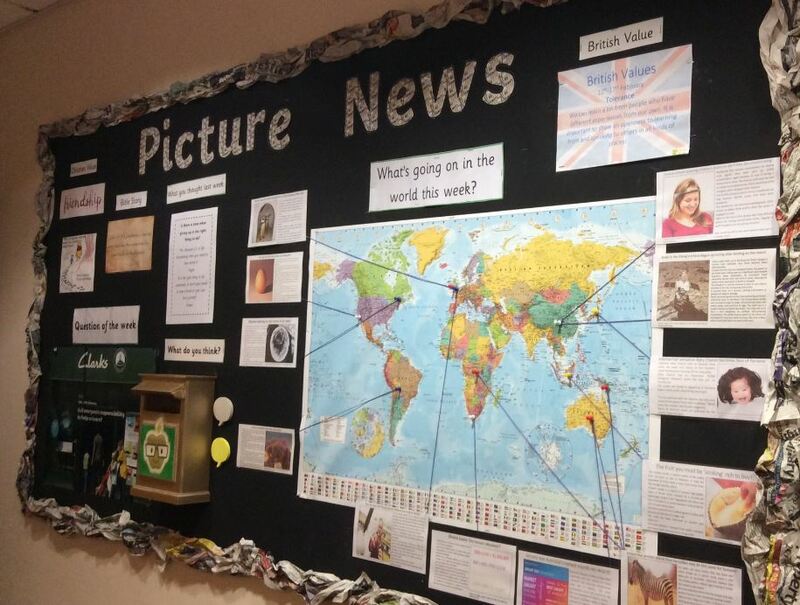 Displays need to be informative, interactive, accessible and creative so that pupils are inspired. But being sensitive to the needs of particular pupils is crucial. Visually rich and dense displays can have a negative effect for children with Autism Spectrum Disorder. Displays also need to be colour-blind friendly so that children who are colour-deficient are not hindered in their learning. Displays seem to be something of an after-thought in some schools and as for training, well it is non-existent. When did your school last use part of an Inset day to debate Clever Classrooms and the visual environment and its impact across the school? If displays are the bane of your life, then clearly there is a training need. No one expects every teacher to be a master in the fine art of classroom feng shui but teachers should know the difference between a Pinterest classroom and a classroom with soul as an active museum of learning or think tank. Displays don’t have to be perfect because as every teacher knows, learning is messy so displays need to reflect the business and busy-ness of learning including learning pits, learning ladders and riskometers. Displays do have their place in schools and when managed intelligently, they make classrooms a place where pupils feel safe, welcome, and stimulated, and where highly focused learning takes place. 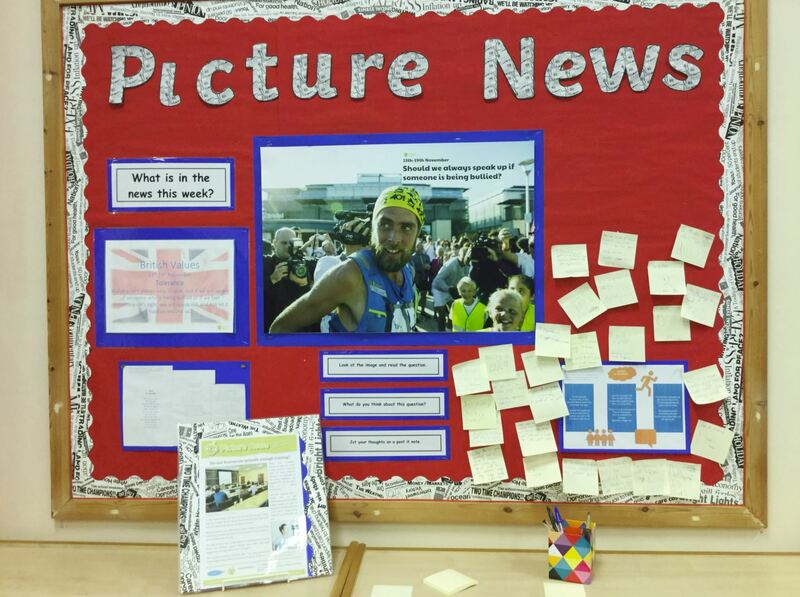 Try Picture News for when of your displays and get children immersed in the world around them. I have been with Picture News since November 2017 and my role has grown rapidly as the business expands. With a background in PA/Administration, PR and most recently motherhood, I bring a wide variety of skills to this amazing company. 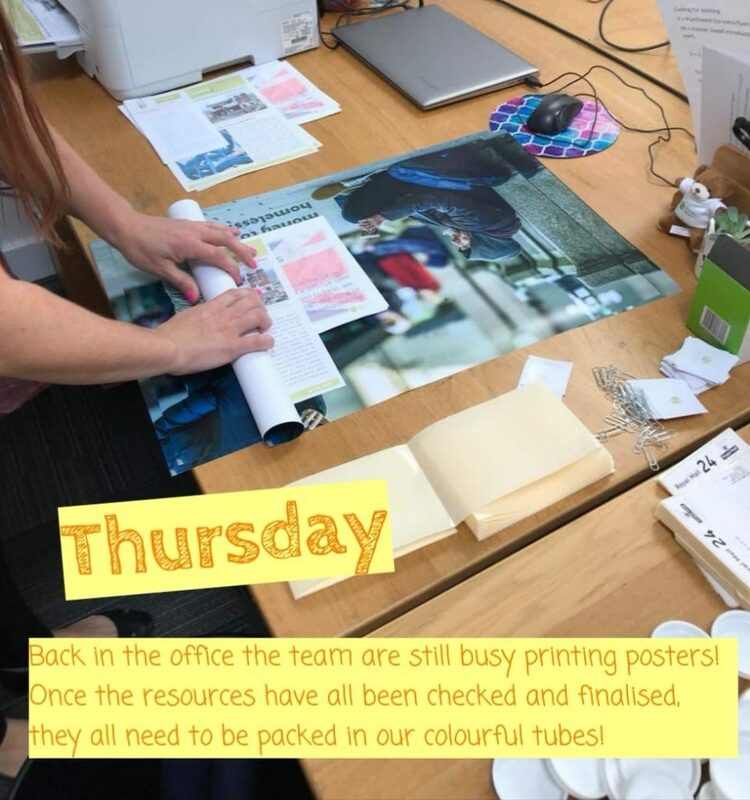 My role within the company is Finance and Logistics, so my day to day work life can include anything from invoicing and answering your calls to proof reading and packing your weekly resources ready to post out. I will most probably be one of your first points of contact should you have any queries or require any assistance and I am always here and happy to help! I have two primary age children and feel passionately about educating them on world issues and current affairs, to ensure that they understand how important it is for them to make a positive impact in life, whilst being caring and responsible. I rate the Picture News resource so highly that I personally gift it to my children’s primary school, to ensure that they don’t miss out. When I’m not at work I love spending time with my family including my two gorgeous children, Henry 8 and Ava 6 and my mini sausage dog Margot (who is fast becoming the Picture News office security guard, sorry I mean office pet!). I love to go off on a travel adventure but equally enjoy chilling out at home watching a movie or listening to music. I’m quite creative and have recently learnt to sew, so am currently designing and making soft furnishings like a mad woman. My favourite foods are cheese and fresh bread and I have been known to be partial to the odd tipple of chilled New Zealand Sauvignon Blanc. To sum up, I love my job and I’m super excited to see how Picture News evolves and where it will take me in the future! This week, we’d like to introduce our brilliant Finance and Marketing Officer Ruth! 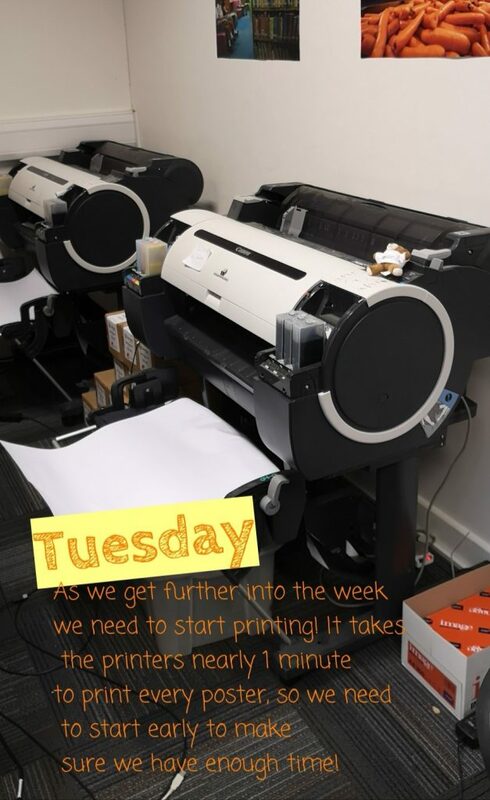 “My role consists of writing the mini newspaper, helping to proof read, print and pack Picture News, dealing with enquiries and general office work. I enjoy working in the office as we have a great team and there are always interesting conversations about current affairs! I also enjoy going to showcase our product at head teacher meetings around the country and discussing the resource with the teachers who use it. I believe it is very important to challenge yourself and try new things so my position at Picture News is perfect for me as my role is constantly evolving and taking me into new and exciting territory. 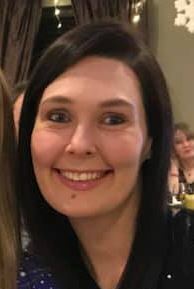 At University, I gained a BSc in Applied Biological Sciences leading to a career involving working in quality control, Forensics and in an NHS laboratory. 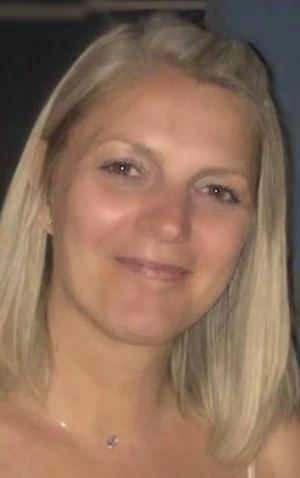 I have coaching qualifications and have always been interested in helping people to develop and improve themselves and achieve their personal goals. Some teachers actively encourage the children in their class to be independent learners and that’s a good thing. The 21st needs them. In a Self-Organised Learning Environment (SOLE) pupils are given the freedom to learn by asking ‘big questions’ where they work collaboratively to find the answers. This is called ‘minimally invasive education’ as children are basically left to learn for themselves, a concept made famous by Dr. Sugata Mitra and his ‘hole in the wall’ experiment. In 1999, Mitra and his colleagues carved a hole in a wall bordering an urban slum in New Delhi, installed an Internet-connected PC and left it there. A hidden camera filmed children from the slum playing with the computer and it recorded them learning how to use it. Mitra went on to win the $1 million TED prize for his research. SOLE does have a lot of supporters and is widely used. If you are interested in finding out more about SOLE then take a look at this support pack and the University of Newcastle’s SOLE Central. Promoting independence, research and self-learning is an important skill but then this needs to be combined with critical thinking, information literacy, media literacy and technology literacy. One of the biggest myths in education is that children are ‘digital natives’. They aren’t. Like many adults, children can be easily hoodwinked because they aren’t information-skilled. Unsupervised learning and computers doesn’t seem to be a very clever mix unless you have powerful protections in place. Thankfully most schools do but that won’t stop children stumbling across information when engaged in ‘research’. I have often seen children use the internet for research and they more often than not end up on a Wikipedia page. They frequently copy and paste from Wiki and treat everything within it as sacrosanct. Wikipedia is a wealthy source of freely available ‘knowledge’ and ranks as one of the world’s most visited websites. It’s almost become the de facto source for knowledge but can it be trusted? Do we need to tell children to ‘hold your horses’? Students use Wikipedia to support their research just as many teachers do but Wiki can’t be trusted because it doesn’t require an article writer or editor to have any credentialed knowledge. 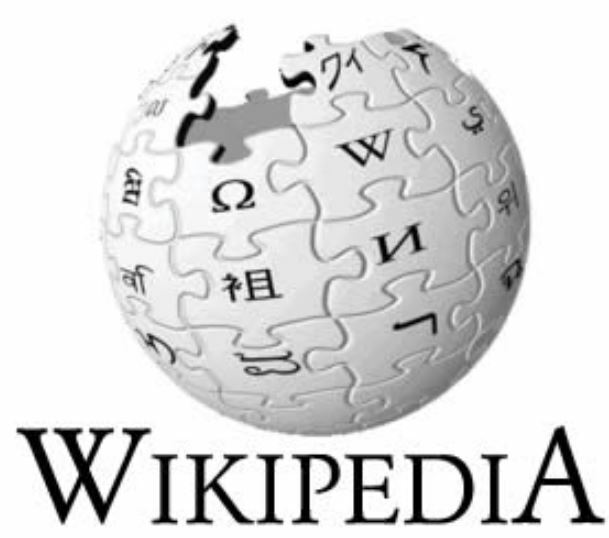 The Wikipedia model is based on an open crowd-sourced structure which allows anyone to contribute. This means it is wide-open to creating bogus facts and fake news that can quite easily dupe a reader. Wiki is full of holes and leaks and children need to know this. One way to illustrate its unreliability is to share with your class the story of Henryk Batuta. That’s a good question. If you looked on Wikipedia a few years ago then you’d get plenty of information about him. You find out that he was born in Odessa in 1898 and participated in the Russian Civil War. He was also an ally of Ernest Hemingway during the Civil War in Spain. The page devoted to him said there was a street in Warsaw named Henryk Batuta Street. The article relating to him was also richly referenced and linked to 17 other articles. Henryk Batuta never existed. The Wiki entry about him was all a hoax and the authors deliberately set out to show, in part, that web users mustn’t swallow information whole. The information relating to Henryk Batuta stayed on Wiki for 15 months without challenge. Now imagine that children were researching him as a ‘real’ person. Their research would have be worthless. Unfortunately, some websites can make the outside world think they are authoritative and factual but they can also smell and taste a bit funny. You can be 100% sure that Wiki will contain many other hoaxes and pieces of information that are monumentally dodgy. You certainly wouldn’t go there for medical information! This is a site that is “inherently unreliable”. If Wikipedia is full of fake news, wide open to vandalism and the last place to find reliable information, should we tell children to avoid it like the plague? Children should go there but be discerning, critical and forensic. This means we need to teach them what open source websites are and why they need to question everything they read rather than accept things at face value. Some of the information will be credible and by checking the citations and references and digging deeper children can see how the information has been mined. Some of that information will be spurious and full of fool’s gold. It might be an idea to take them to Wikipedia itself – there’s a page on there called ‘Wikipedia is not a reliable source’. Banning the use of Wikipedia just wouldn’t make sense. We can make intelligent use of it and support children to verify sources and understand the reliability of web materials. They can see first-hand just how easy it is to present information and misrepresent it too. Not all of it is junk but some of it is. Looking at Wiki with critical eyes gets children to ask questions around the biases of people writing entries, what they are leaving out and which communities are not included in a conversation. Get your students to invent their own Wiki entry for something or someone that didn’t exist and let them test it on someone else. Mix some facts with fiction and see if others can spot which is which. Wiki can teach children about gullibility and how easy it is to fall for pictures and information hook, line and sinker. A healthy level of distrust makes children critical learners. At least if they are asked to research a historical figure or event, they can question whether a particular person or incident actually existed or happened. If they did, how much can they really trust? Next up in our meet the team segment is Picture News co-founder Rob Harrison. Rob was raised on a farm in North Yorkshire, where he’s now living with his wife and three children. He is still a part-time farmer with around 100 sheep of his own – a very contrasting job to his role at Picture News! 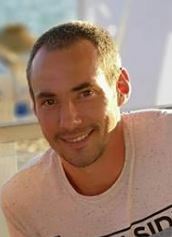 In his spare time, Rob is a keen runner, having completed several marathons, he also enjoys playing (and watching!) football whenever he can. Rob is vital to the smooth running of Picture News, working relentlessly behind the scenes overseeing packing, finance, marketing and logistics. 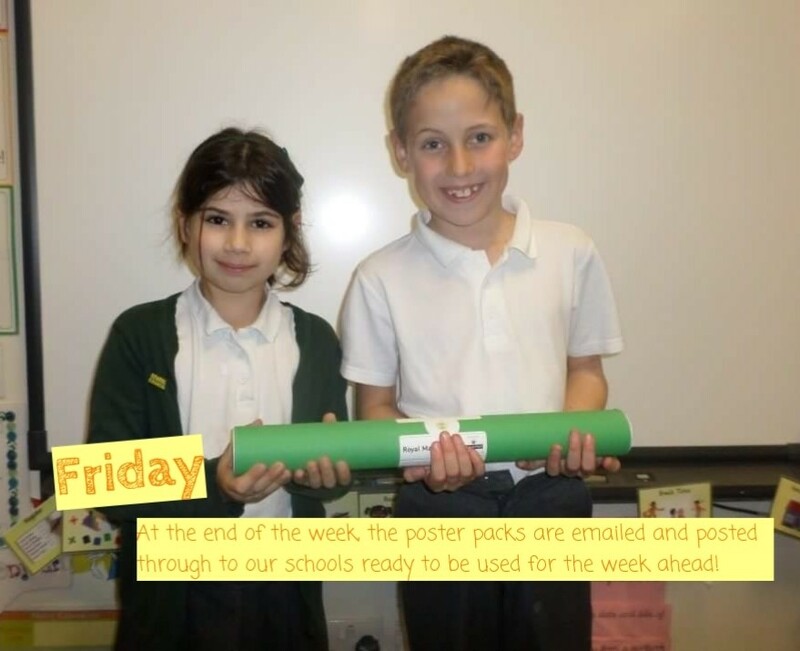 It’s thanks to Rob, that everyone receives their poster on time each week via email and post! Prior to Picture News’ launch, Rob completed a Wildlife Biology degree at Newcastle University. After graduating, he then worked as a farm labourer moving into farm sales where he spent 7 years in the agricultural sector, gaining experience in accounts, sales strategy and marketing. Rob is very passionate about the difference Picture News can make in schools, particularly coming from a small rural school himself, as he understands the importance and significance of challenging misconceptions, opening discussions and bringing world issues and events into the classroom and the powerful impact that this can have. Over the next few weeks we’ll introduce a new member of our Picture News team. 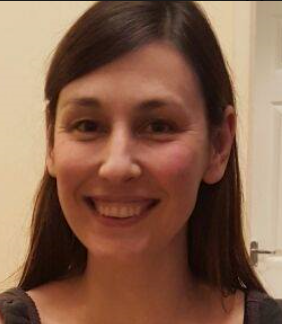 First up…our Education Consultant Jo! I am so excited to be working for Picture News. I have been a teacher for 14 years and loved every second of it. It became apparent to me very early in my career that the real buzz and excitement I got was from supporting children who struggled socially, emotionally or behaviourally; working closely with them to transform behaviours and develop happy children, who learned to control negative feelings whilst accepting it was okay to feel this way. I was lucky to work for a fabulous headteacher in Scarborough who gave me the opportunity to be part of a study which looked at using social and emotional aspects of learning to drive the academic curriculum rather than children sitting at desks practising tests. The year 6 class I was working with at the time were given opportunities where they had to work as a team developing respect and communication skills, they had to overcome emotions such as excitement, fear, anger and they developed confidence, resilience and independence. We then applied these skills to their academic work. The children flourished both emotionally and academically. When I had my first child, I sadly left my school in Scarborough as the commute was too much but have since worked in two fabulous schools, where I have continued to value the social and emotional areas through integrating SMSC throughout the curriculum and my teaching. I have always loved Picture News, because of the opportunities it gives the children to develop everything that I have valued as a teacher. It inspires them, motivates them and allows them to feel passionate about something that is real. It opens their eyes to the world around them and gives them so many opportunities to learn to respect, value diversity and understand they each have a voice and it matters. It was a difficult decision for me to leave a job that has not really been a job; it has been my life. In the end, I decided I wanted to be part of something that supported wonderful teachers, who also value these things, by working with the Picture News team. Every day at Picture News is different. I write resources, take part in webinars, attend Headteacher meetings, run workshops at staff meetings, run children’s workshops and attend teacher conferences. I also get to think about other resources and ways to help teachers with delivering SMSC and BV – something I didn’t always have time for when teaching myself! I feel very lucky to have this opportunity. I will give it everything I have got as I did to my teaching. Thank you Picture News! They say that it’s difficult to make predictions, especially about the future! That’s certainly true when it comes to the news. Things change so fast and life is always throwing us curveballs which means events can often shock, surprise and bewilder. Breaking news can hurt. Raw news is in a constant state of flux and that’s what makes it so exhilarating. We don’t know what will happen next but when it does, it’s the reporting of it that really matters. Information inequality means that lots of newsworthy events just don’t get reported or go underreported. Some news is noisy, some of it is buried. News reporting is an art and a science. Their full report can be read here. Trying to spot trends that are likely to impact on the news might be like predicting the weather but that doesn’t stop us from trying. Everyone has an opinion and leading BBC staff and celebrity experts say what they think in this video. News has always been a very selective experience. What might be news to you isn’t necessarily news to me. We choose news as consumers and news consumes us. We let a lot of news wash over us and yet we also wash ourselves in news on a daily basis. The news manipulates us even if we think it doesn’t and it shapes our world views. It misleads us, misinforms us, polarises us and disengages us. We are fed it, we eat it and some of it makes us sick. Then there is news that we can’t get enough of, it entertains us and we enjoy binging on it. News is really rather personal but maybe that’s the future of our news. There is so much news happening at any one time, it’s impossible to get access to it in one place. Perhaps the next step in the evolution of the news is news tailored to us specially compiled to suit our individual interest and tastes. Companies love collecting data on us. Supermarkets do it all the time and make purchasing suggestions and recommendations to us based on our shopping habits and the information we give them. The news is no different. Websites can collect and read our news preferences and build a profile of what sort of person we are. Personalised news is the future so let’s imagine what this looks like. Data about our education, occupations, hobbies and socio-economic level could easily be analysed by computers. These can then scan and thumb through the world’s newspapers, websites, television programmes and radio broadcasts on our behalf. Whenever these ‘News Computers’ come across anything that dovetails with our character profile they then extract it, compile it into a news bundle to make personalised newspapers, online or paper. Every page of this newspaper would be guaranteed to interest us because we’ve disclosed what we like. If we are hungry for a particular type of news and gossip then they will find it and deliver it. Such a newspaper might easily be made up of: the front page of The Wall Street Journal , letters to The Times, the culture pages of Le Monde, the sports page from The Sun and the fashion tips from Elle with a selection of local news from the Whitby Gazette, the Liverpool Echo and WalesOnline. Does this sound scary or exciting? Is this the future? The thing is, it already exists! You can download news aggregation apps and services such as Flipboard, News360, Feedly, Google News, Apple News, NewsNow and many more that pick out the news we are interested in or they compile news feeds from a variety of sources for users to customize and share with others. News aggregation apps have been around for a relatively short time and they are gaining a lot of traction. They are popular because they are fully-automated and display breaking headlines linking to news websites all around the world on a continuous basis. But even though news can be aggregated and personalised for us does this make us any better informed? We can only ever receive a limited amount of information. There is simply no way of collecting every bit of news. So even though we can get news from a number of different channels this eventually just drowns us in information and we could just switch off. If we limited the news to just one bulletin a day would that produce better and more thoughtful journalism? Selecting and presenting information, curating the news and aggregating content has always been part of the role of journalism. At the end of the day, we might think we select the news but it’s the news that selects us. Picture News – Competition Winners! Children can be forgiven for thinking that the world is a very bad place with very bad people doing very bad things. It’s true, there is plenty of bad out there but not everything is toxic. Pick up a newspaper or access the news via social media, TV or radio and there doesn’t seem to be much positive going on. There are blogs, articles and stories galore about people hurting each other or people harming the environment or the environment harming us so it is little wonder children get scared. We seem to be drowning in war, violence and natural disasters. Then there are news stories that seem to run and run like Forrest Gump. These are never off the front page and they might not necessarily be tragic or traumatic but are just dreary and lacklustre. Brexit is important but it is politics at its driest with little to excite anyone but it dominates at the expense of hundreds of other events and experiences that are worth getting excited about. Good news doesn’t get the same attention as bad news yet there is good news happening all the time pretty much everywhere. Young children live completely in the environment in which they live and do not seriously conceive of there being any other. Their contact with the news can be extremely limited as their world is very much their own. Yet as children get older they see and hear things that make them aware that there is ‘stuff’ going on around them and their world view starts to expand. This world view though is often traumatic, misrepresentative and overdramatic. The power of the media in shaping our world views is huge as organisations select what is news and what isn’t. Children need to know this. They need to know that ‘the news’ is something we are given and served and there are thousands of things that never get reported or make the headlines. They also need to know that they can make the news, shape the news and challenge what is deemed as newsworthy. 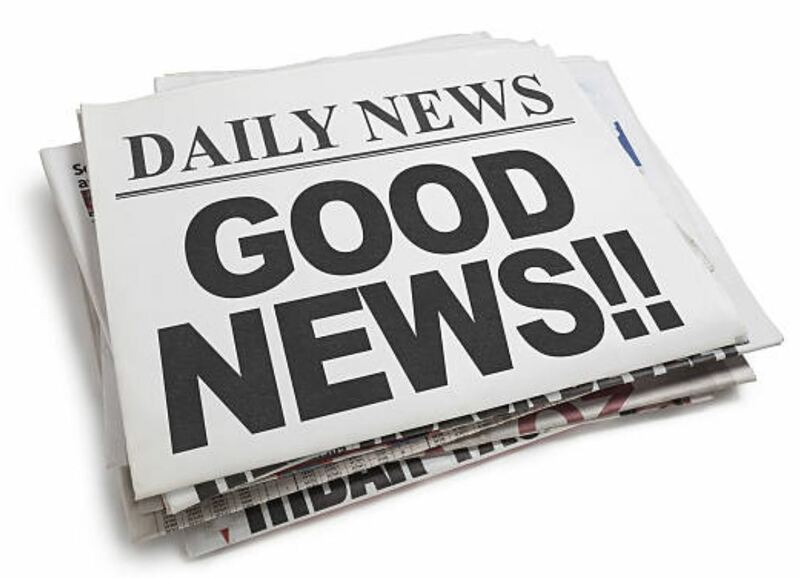 We don’t have a newspaper called ‘Good News’ or ‘Just Great News’ but wouldn’t it be wonderful to see a newspaper and website devoted to not just all the good news out there but the unusual, weird, wonderful and interesting? Amazing scientific discoveries are being made that dramatically save lives and change humanity, yet remarkably they are often ignored or buried in the fast food news of the day or the stubborn news stories that are stuck in the system and refuse to budge or give way. Take CAR-T cell therapy as an example. This is a type of treatment in which a patient’s T cells (a type of immune system cell) are changed in the laboratory so they will attack cancer cells as a living drug. After several decades of painstaking research, the most exciting advance in treatment for childhood leukaemia is big news and should be celebrated but it didn’t get on the front page. How could this be a non-event? Of course, there needs to be a balanced diet of news so children don’t grow up with rose-tinted glasses on but there is a desperate need for pipelines of good and great news to enter the system to enrich and inspire everyone. Children need to know that the mainstream media are failing us because what’s happening in society isn’t being broadcast fairly or with balance good news stories are not in short supply but their reporting of it is. Being hit with a constant stream of negativity can lead children to see the world in very distorted and twisted ways. Let’s not forget the fake news, misinformation, sensationalised headlines, inaccurate reporting and craving for drama. The news we get is a box of damaged goods and misconceptions. Steven Pinker says that prolonged exposure to negative news can ‘miscalibrate people’ meaning they have an unreasonable sense about the probability of airline crashes or of terrorists taking over. Bad news can make you glum and worry more crime, even when rates are falling. The power of good news can be uplifting and engaging. We need the feel-good stories for our mental health and wellbeing. In mainstream TV news good news tends to be a bolt-on, an added extra and something to stick in the ‘..and finally’ section of a programme. 29 minutes of the bad and boring stuff and 60 secs of good isn’t balanced broadcasting though. Fortunately there are news sources that do achieve a balance and cover positive, quirky and feel-good news items. 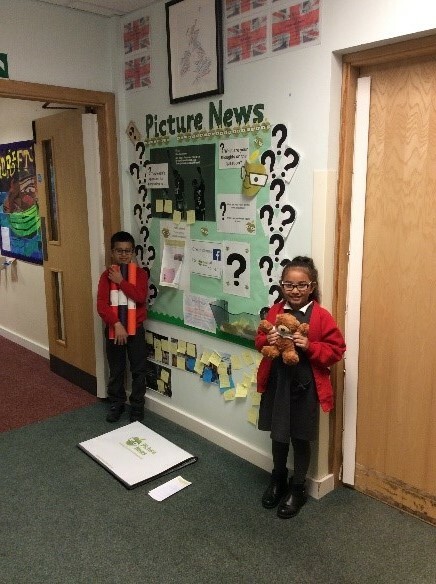 Picture News often features an array of optimistic and great news stories that can get missed and it is these stories that can then prompt children to see the news in more positive ways. Children need a diet of hope not devastation and we can help by providing opportunities for them to research and find stories that celebrate humanity and achievements. We also need to promote what public health expert Hans Rosling calls ‘factfulness’ as a source of mental peace. Seeing the world factfully and positively is within our grasp and as classroom practitioners we are well placed to ensure that there is balance so we can support children develop healthy news mindsets. By being more constructive and getting more positive back into the system we can help children see there is an upside which spreads hope. This is precisely what The Guardian are doing by deliberately seeking out the good things happening in the world. Their Upside series is going to be part of a Google experiment to spread good news via its voice assistant. Solutions journalism like this isn’t just good news, it is great news and it’s the daily dose we all need. A typical week at Picture News HQ! 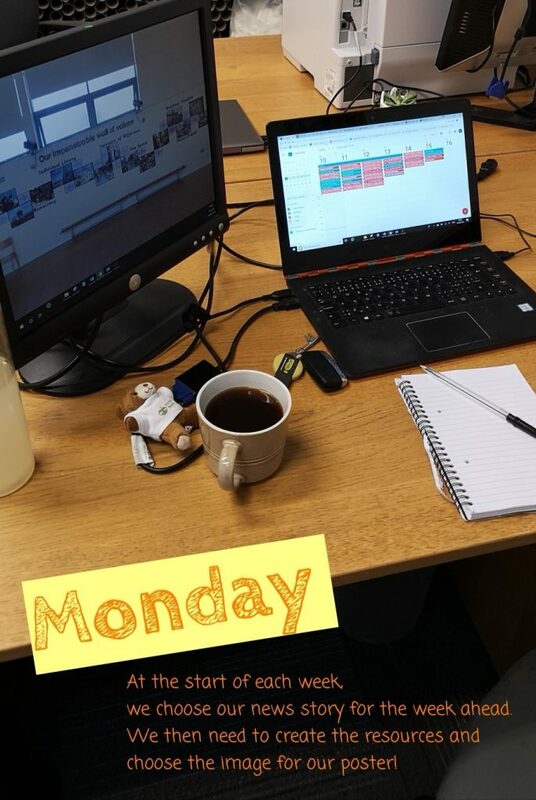 Find out what a typical week looks like for our busy team!